I just watched a fox promo on America's Most Wanted and Beverly Hills 90210 of November, 22, 1990, I think one of the fugitives, Carlton Stroud may be in this episode. Decided to move this thread to the new episode/segment request so people can scroll through what we have found. I was so disappointed to find this video had been deleted (or more likely taken down by Fox).. This is the episode that my buddy's dad was in (he had been both a cop and fed, so I'm not sure what he was doing at this time), and we've been trying to find this episode to bring to him and hear some stories. Side note: I can't believe how active this site is, when I started my search I thought this show would be all but forgotten about. Welcome to the forum! I'm sorry to see the episode is now set to private on youtube. Unfortunately, as is the nature of YouTube/the internet in general, sometimes our happiness that we found an AMW clip or episode to post will unfortunately be short lived. What's frustrating to me is it is apparently on there but set to private and there's no way to know who the owner is to contact them as the username isn't listed. P.S. Thank you for the compliment on finding our site active. 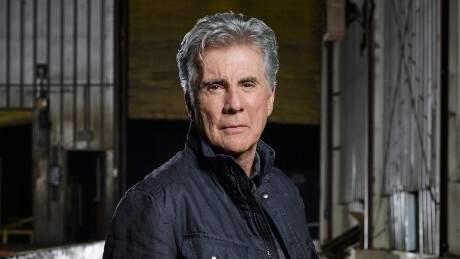 I think the fact that John Walsh still has a fugitive show with "The Hunt" although on a more limited basis helps people remember AMW. Unsolved Mysteries also has a rabid fan base despite not having a new episode since 2002 (it helps that they somewhat brought it back a few years ago although it was Dennis Farina retelling the same stories.) It seems no one ever forgets the shows that had a significant impact on their lives! Gah. That makes it worse! Crazy how these videos can be so hard to find when they are obviously not being monetized anymore. I remember watching here and there when I was growing up, but was never old enough to really get into it. That's why we about lost ourselves when we found out my friends dad was in an episode (and a ridiculously crazy one it seems). I've always been very interested in real life crime shows and the documentation of these people, so it's been cool to poke around the site so for. Thanks for the upkeep of the forum! Found what I believe to be a 1995/1996 news report about fugitives fleeing from the US to Mexico. At the end it references an AMW fugitive who was charged with killing a teenage boy in Salinas, California, however I can't determine how to spell the fugitive's name. The good news is that according to the report, the fugitive was arrested in Jalisco, Mexico. If you want me to do a thorough search, send me a PM. I'll develop a profile the best I can. Hey all - I'm in a class taught by Bates Wilder (B-movie actor) and he is looking for an AMW episode that one of his first TV appearances was in. He was in S4 episode 14 with Jack Clyde Dempsey (information I found out based on what he described). Does anyone know if they have this episode or section? 1:22 length clip from Roland "Ramadan" Campbell's (Capture #428) reenactment. Also found a 0:57 clip from what looks like an early 90's reenactment about a drug trafficker. No names are given as to who the fugitive is. Someone has uploaded another preview of an AMW episode from the early 90s. This one advertises a jailhouse interview with James Pauley (AMW Capture #243), where he fully admits all the crimes that he's accused of. Pauley had seen himself on AMW and said he was going to turn himself in, but before he did, he raped a woman he met at a bar that night. The next day, he said he realized how violet he was and if he didn't turn himself in, he'd continue his life of crime. Later that day, he walked into the local police department and surrendered. I don't know how this one flew under the radar, but back in 2011, Elaine Parent's profile was uploaded by an actress who was in the segment. A brief segment from 1997 has been uploaded to YouTube. It features the murder of bank teller Monica Leech, who was killed during a robbery at the Western Financial bank in Thousand Oaks, California. Near as I can tell, this murder is still unsolved.